Inheritance is rooted in the stories of the women (originating from my grandmothers) on both sides of my family: each mother folding to the pressures and rules of the patriarch in order to protect the money and assets attached to these men at the sacrifice of their relationships and well being of their daughters. These violences are perpetrated through physical, psychological, and emotional acts against their children to prove their own strengths, in order to be worthy of the inheritances their husbands would leave behind. 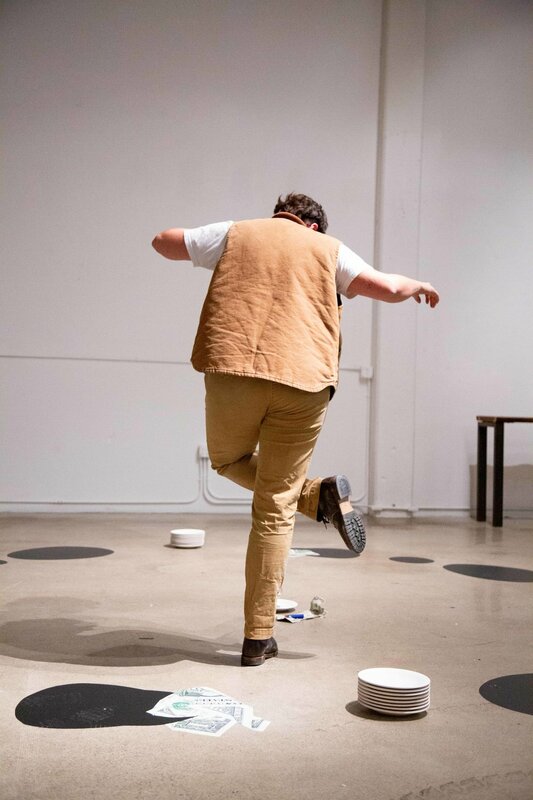 Through the Greek dance called the Zeibekiko, I enacted a series of mournful acts—the dance itself, the temptation of drinking, the smashing of plates, and the burning of money—to both express and exhume my family of its pain. These acts were surrounded and contained by a circle of army ants that symbolize the blindness of those controlled and oppressed by money. 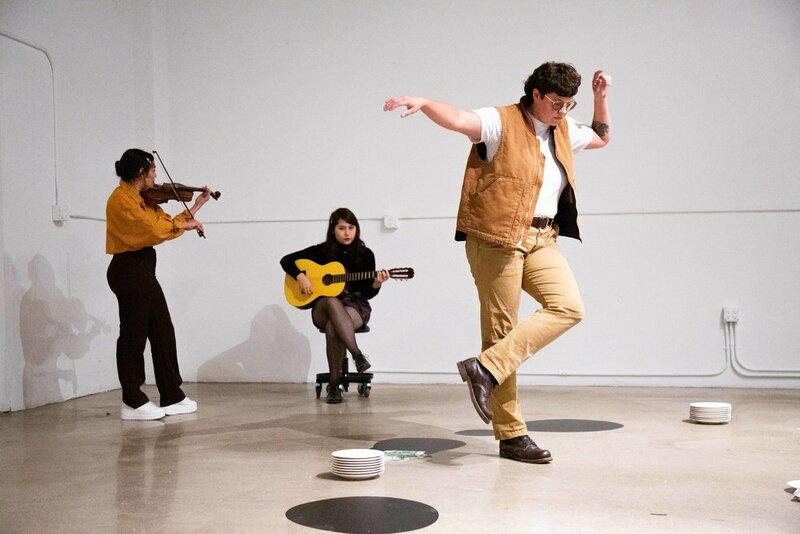 Playing an adaptation of the traditional Zeibekiko song was Lauren D’Amato and Hannah D’Amato; their music and my dancing informing one another in an increasing speed and escalation until it’s cacophonous ending. Photography by Marcela Pardo Ariza and documentation by Miguel Novelo.